Gosh. We thought your team would have been apoplectic following the recent announcement. FAA Aviation Safety Inspector (simulated) and $4 million dollar man Joel Seidband is taking command of Peachtree City Composite Squadron. Given the NTSB and court rulings on Seidband’s glider-tow operations, you should be able to finish the story from here? On January 12 at 9:28 PM, the Georgia Wing commander who humiliates Joe Knight III by her very existence issued the following public statement. Congratulations to Lt Col Joel Seidband as he assumes command of Peachtree City – Falcon Field Composite Squadron and thank you to Maj David Serafin on a fanstastic term! Thank you for the awesome hospitality to Mrs. Van Buren (aka Mom) and to me. The author of the comment behind this article is implying that Civil Air Patrol’s Joel Seidband shouldn’t be in command of anything. 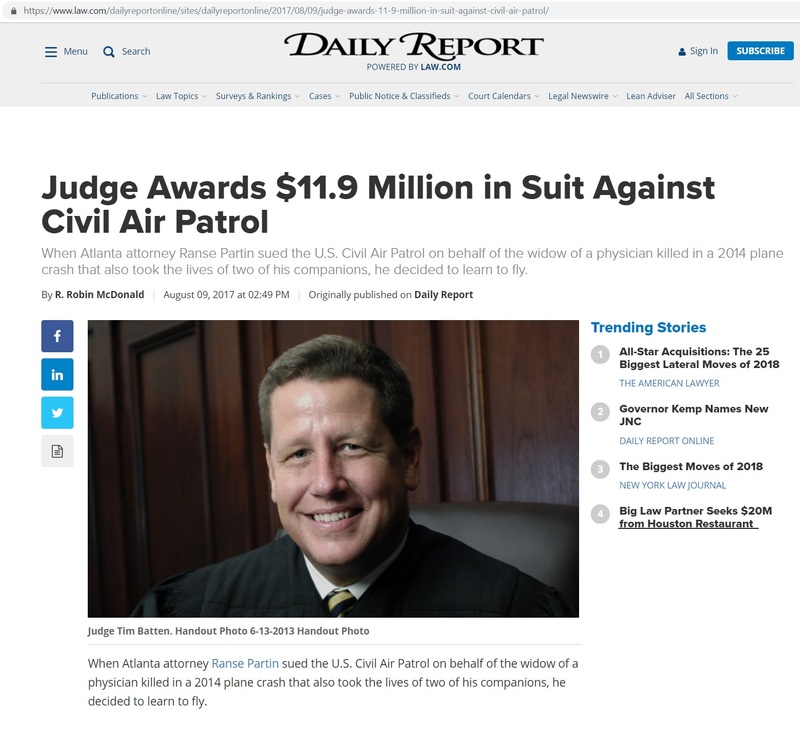 Civil Air Patrol awarded Seidband and promoted him as a message to “activist judges” and its cowed membership. Given what has been previously reported about ignored safety warnings at Peachtree City Falcon Field and Lagrange-Callaway Airport, our editors tend to agree with the author. As a reminder, the following information is taken from the ruling of United States District Court for the Northern District of Georgia Newnan Division. The local rules of Lagrange-Callaway Airport require during glider operations the use of a spotter who has an unobstructed view of both ends of both runways so that he can warn of possible traffic conflicts. Tr. 11:20 – 12:6. CAP did not file a NOTAM concerning glider operations, nor did it use a spotter. Tr 12:2-6. 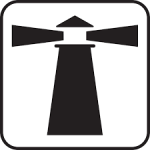 The rules also prohibit glider takeoffs when an aircraft is known to be on a landing approach within five miles of the airport. See supra Part I.D. The parties stipulated that CAP knew those rules existed and did not follow them, see Tr. 11:20 – 12:17, but the Government contests whether these rules applied to the CAP flights. Witness Charles Kenyon, Jr. did not hear any announcements of a planned [CAP towplane] takeoff on the CTAF. Tr. 83:3-7. Witness Mark Lott, a pilot and Columbus State University police officer, was in the FBO lounge. He heard an aircraft announce on the CTAF that it was inbound for a landing on runway 13/31. Tr. 102:11-22. A short time later, he saw the Baron descending near the east end of runway 13/31 with its landing gear down. He did not hear any announcements of a planned takeoff on the CTAF. Tr. 103:2-5; 107:13-16. The Court finds that CAP breached its duty in its glider operations at Lagrange-Callaway. It neglected a risk of collision by failing to use a spotter despite the obstructed views between the runways. Such a duty to make its flight operations safe existed irrespective of the applicability of the local airport rule requiring a spotter during glider operations. The CAP pilots failed to yield the right-of-way to the Baron, as required by 14 C.F.R. § 91.113(g). And as previously discussed, see supra Part I.H., the CAP pilots apparently did not announce their flight plans over the CTAF, and they either did not hear or failed to appreciate the Baron’s announcement over the CTAF that it was preparing to land. In these ways CAP breached the duty of all pilots to generally act with reasonable care, and specifically to cede the right-of-way to landing aircraft. CAP’s breach of duty caused the Baron crash. As an FAA employee, Civil Air Patrol tow pilot Joel Seidband could have served as a first line of defense in correcting any of the program’s safety oversights. 4 Comments on "Four Million Dollar Man Takes Civil Air Patrol Command"
Where should I report Air Force officers who spy for other nations? I second the addition of Ranse Partin’s quote. 1. Civil Air Patrol did not file a NOTAM concerning glider operations, nor did it use a spotter. Tr 12:2-6. 2. Witness Charles Kenyon, Jr. did not hear any announcements of a planned takeoff on the CTAF. Tr. 83:3-7. 3. Witness Mark Lott, a pilot and Columbus State University police officer, was in the FBO lounge. He heard an aircraft announce on the CTAF that it was inbound for a landing on runway 13/31. Tr. 102:11-22. A short time later, he saw the Baron descending near the east end of runway 13/31 with its landing gear down. He did not hear any announcements of a planned takeoff on the CTAF. Tr. 103:2-5; 107:13-16. 4. As an FAA employee, Civil Air Patrol tow pilot Joel Seidband could have served as a first line of defense in correcting any of the program’s safety oversights. That quote from Ranse Partin is damning. The Daily Report Link is dead. If you have a snapshot of its original, I would add it so that you can show that Civil Air Patrol is moving to have negative stories deleted as a part of their brand management.